Alright, time to give away some muscle building SeCReTZ… for free. I’ve previously covered the basics of putting together a generic upper body workout that can suit a variety of training goals. Today however I want to look at one specific goal and walk you through the template I personally like to use when designing a program for it. What goal is that, you ask? Muscle hypertrophy… aka muscle growth. Please note that there are a hundred different ways this can be done effectively, so the following is certainly not the only way to do it. It is however the way I prefer to do it, and the way that I’ve found works best. It’s by far my favorite “upper body day” template. Normally, the first step of ANY workout program design is individualization. This of course means taking the individual needs, goals, preferences, training/injury history, etc. of the specific person the routine is being designed for, and going forward with all of that in mind. Since we don’t have a specific person in this case (it’s you, but um… I don’t actually know anything about you), we’re going to be skipping this step. Instead, we’ll just assume it’s some random generic person whose primary goal is to build muscle as quickly and effectively as possible. One will typically be a flat or decline movement, and the other will typically be an incline movement (15-30 degree incline). The exercises themselves will either both be compound pressing exercises (like barbell bench press and incline dumbbell press), or one compound press (like any barbell, dumbbell or machine press) and one isolation type movement (like dumbbell or cable flyes, pec deck, etc.). Whatever they end up being, the first chest exercise in the workout will be done heavier and in a lower rep range (typically 5-8) with longer rest periods (2-4 minutes), and the other will be a little lighter and in a slightly higher rep range (typically 8-12, though sometimes as high as 15) with shorter rest periods (1-2 minutes). Why? Because the two primary training factors influencing muscle growth are tension and fatigue, and this gives us a nice combination of both. One will be a horizontal pulling movement (like bent over rows, seated cable rows, chest supported rows, etc. ), and the other will be a vertical pulling movement (like pull-ups, chin-ups or lat pull-downs). Just like before with chest, the first back exercise in this upper body workout will be done heavier, lower in reps, longer in rest periods… while the other will be a little lighter, higher in reps, shorter in rest periods. The shoulder exercise will almost ALWAYS be either an overhead press (like a seated or standing barbell or dumbbell shoulder press), or some type of lateral raise (dumbbell, cable, whatever). Why not front raises? Because it’s the most unnecessary exercise on the planet for most people. Now, whether I choose an overhead press or lateral raise is mostly dependent on what the chest exercise selection is. If both chest exercises are compound pressing movements (especially if one of them is an incline press), the shoulder exercise will typically be lateral raises. But if one of the two chest exercises was an isolation movement, the shoulder exercise usually becomes an overhead press. And if it’s an overhead press, I’ll usually go with a low-moderate rep range (5-10) and moderate-long rest (1:30-3 minutes). If it’s lateral raises, it will be a higher rep range (10-15) and shorter rest (1-2 minutes). This will be some kind of isolation curling movement (dumbbell curls, etc.) done in a higher rep range (10-15) with shorter rest periods (1-2 minutes). If there are already 2 (or more) compound pressing exercises in this workout (which is usually how it should be), the triceps exercise will be an isolation movement (like cable pushdowns, skull crushers, etc.) in a higher rep range/shorter rest periods (10-15, 1-2 minutes). If however there is only one pressing exercise in this workout and the rest of the chest/shoulder work is isolation stuff (e.g. incline barbell press, flat dumbbell flyes and lateral raises), then this triceps exercise can optionally become a compound movement (like dips or close grip bench press). Sometimes stuff like shrugs or rear delt work can be included, too. But, that’s mostly just optional accessory stuff that is dependent on the individual needs/preferences of the person, so I tend to leave it off by default. The stuff above this is what matters most in an upper body workout designed for building muscle. From there it’s time to prescribe how many sets and reps will be done for each exercise. I like to start by first figuring out what the total volume for each muscle group should be in the workout, and then divide that volume up over whatever number of exercises each muscle group will have. This is one of those areas that is highly dependent on the individualization stuff we skipped over before, because volume tolerance can vary greatly from person to person. But, assuming once again that we’re talking about some average generic person, here’s what I’ve found to be optimal for most people. Chest volume: Between 30-60 total reps in this workout. Since there are 2 chest exercises, this amount will be divided up among those two exercises. Back volume: Between 30-60 total reps in this workout. Since there are 2 back exercises, this amount will be divided up among those two exercises. Biceps volume: Between 20-30 total reps in this workout. Since there is 1 biceps exercise, it will all come from this one exercise. Triceps volume: Between 20-30 total reps in this workout. Since there is 1 triceps exercise, it will all come from this one exercise. Yes, I’ve sometimes exceeded some of these volume ranges. Yes, I’ve sometimes gone below some of these volume ranges. Again, it depends. BUT, for most of the people, most of the time… these ranges are going to be the absolute sweet spot of effectiveness. More or less volume will increase the possibility of impeding progress. Now as for exactly how this total volume gets divided up when the muscle group has 2 exercises, see the details from step 1. Chest, back, chest, back, shoulders, arms. Back, chest, back, chest, shoulders, arms. Back, shoulders, back, chest, chest, arms. Back, chest, back, shoulders, chest, arms. Chest, chest, back, back, shoulders, arms. Back, Back, chest, chest, shoulders, arms. Chest, shoulders, back, chest, back, arms. Chest, back, shoulders, back, chest, arms. Shoulders, back, chest, back, chest, arms. More often than not though, I tend to go with one of the first 4 arrangements on this list. Why? Because by default, I tend to alternate pushing and pulling exercises throughout most (if not all) of the workout so everything gets a bit more of an equal training focus as opposed to doing everything for muscle group A first then everything for muscle group B after. Although again, I do like doing it other ways too. In fact, if you have The Best Workout Routines, then you’ve seen this in action in the form of a new version of The Muscle Building Workout Routine where other options on this list come into play. Regarding the arm exercises, they’ll almost always be thrown on at the end of the workout after all of the chest, back and shoulder training. There are occasions where this will change, but it’s pretty rare. As for the order of these arm exercises (biceps then triceps, or triceps then biceps? ), that will depend on what exercise came before them. Again, I usually like to maintain the alternating push/pull (or pull/push) structure. So if the last exercise before arms was a back movement, it will probably be triceps then biceps. If it was a chest or shoulder pressing exercise, it will be biceps then triceps. However, if it was a chest or shoulder isolation exercise (like lateral raises or flyes), then it really doesn’t matter which goes first. Since this upper body workout will be part of an overall program that’s using an upper/lower split, there will usually be two upper body workouts per week. And while you CAN just repeat the same workout both times, I find most people will do better (not to mention… be much less bored by) having two different upper body workouts instead. Different in what way exactly? Anything from rep ranges and rest times to exercise selection and order. In that regard, I like to design that other workout using the exact same template we just went through… only with a lot of things flipped around. What I mean is, if pushing exercises came before pulling exercises, or triceps came before biceps, or movement pattern A came before movement pattern B, I like to reverse it in the other workout. I’ll often “flip” a lot of other things, too. For example, if the biceps exercise in one workout was a bilateral movement (like barbell curls), I’ll usually make the other a unilateral movement (like dumbbell curls). Same thing for triceps, and sometimes other muscle groups too. Another similar example would be that if the horizontal pulling exercise for back was done a little lighter, with higher reps and less rest than the vertical pulling exercise was in one workout, I’ll reverse that in the other workout. This is partly just a balance thing to ensure that everything gets an equal amount of training focus and attention. But it’s also because it allows different exercises and movement patterns to provide a different training stimulus for muscle growth than it did in the other workout. Not quite muscle confusion… just a slightly different version of the same template. What, you were expecting all of the SeCReTz in a single article? HA! Although, The Muscle Building Workout Routine (and/or The Best Workout Routines) + The Best Diet Plan pretty much has you covered. 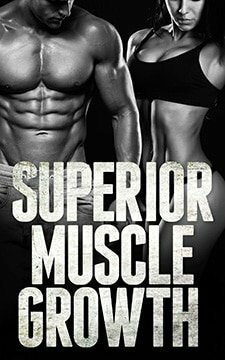 And Superior Muscle Growth, of course, REALLY has you covered. Will u do articles on the rest of the steps? If so, when can we expect them? Probably, but no idea when. As for HIIT, it’s a useful fat loss tool with its own pros and cons like any other form of training (and is another topic that needs a full article of its own to properly cover). After 2 weeks off, you should be coming back easier with weights that are a good bit lighter than you last left off lifting, and then gradually building back up. So maybe 75% of where you were previously at before the break, then 85% the next week, then 95%, etc. OK… I love this site and appreciate your time, effort and general ‘no nonsense’ approach (funny sometimes too). Since I found this website about two months ago, I’ve been doing the upper/lower split with most exercises in the 6-8 range and practicing progressive overload. I used to do a typical old school ‘bodybuilder’ workout. I like that the split hits everything twice in a week (and forces me to get up on Monday morning or it offsets my whole week). I understand push/pull balance, proper form, mind-muscle connection, etc. I varied the routine slightly from what you have in this article to alternate push/pull (1 set push, one set pull, one set push, etc.) creating a mini-circut. I THINK it produces the same results, just with less time resting (my ‘rest’ for bench presses is a set of pullups… then maybe one minute rest before the bench again). 1. Deadlifts – are these a push… a pull… or both? I THINK they are primarily a pull (hams, glutes), so in the program, I do front squats (push) and deadlifts (pull). Is this correct? 2. Abs – I work them on ‘Lower’ days (to fill the rest periods again creating a mini-circut). I do a bunch of different things (decl sit-ups, v-ups, wood chops, russian twists, renegade rows, etc…. throughout the two lower workouts, that is). My problem is unless I flex my abs, you can only see mild definition. My buddy at the gym blasts his abs daily, and his abs stand out significantly more (individual muscles are round, mine are flat-topped even when flexed)… and his body fat % is higher. Am I not working my abs hard enough (7 – 8 sets of 10 – 15 reps on each ‘lower’ day)? Am I doing the wrong exercises? Or am I just likely stuck with poor genetics… and keep doing what I am doing? 2. Like 99.9% of the questions that have ever been asked about abs in the history of mankind, the answer simply lose more body fat. I am not expert but I had a similar problem with my abs, I work them every 4th day on a schedule and do 10 minutes of various random abs exercises generated by an app I bought. It works great and my abs are rock hard, but were hard to see. It came down to losing fat but this is often confused with losing weight!!!! So I started shedding weight, but all that did was make me weaker in the gym and smaller on top, there was still flab on my abs. My “secret” trick…changed my diet. I track every single food I eat, I have a target intake of calories, protein and carbs. I eat clean, plain greek non fat yogurt, non fat milk with my protein shakes, no fried foods, no bread, rice, veggies, lots of fruits. I do not drink soda, I do not take any sugar like in my coffee and I avoid as much as I can any food that has sugar or fructose added…which is why I now eat plain greek yogurt and add my own fruit. The fruit kind had tons of sugar and fructose needlessly added. In short I made every calorie I ate as quality as I could. No empty cals, protein with every food and snack if possible. The result, my abs are popping, my waiste dropped another 2 inches from a 37 down to a 30 in under a year and my upper body is getting bigger and I am getting stronger. Just one mans approach…not sure it is right, but seems to be working for me. Marc, what r ur macronutrient ratios/grams? Can u post a sample of ur daily diet? I do not go to that level to be very honest. I just make smart food choices and track them using My Fitness Pal app. I was using the Daily Burn app, it had a great food database but was buggy as all hell. Salad with one tomato, cucumber, carrots and 4 to 6 ounces of chicken breast. Usually I will have an apple, strawberries and or a protein shake with water depending on where I am calorie and protein wise and whats coming up for dinner. Usually, 4 to 8 ounces of chicken breast with mixed veggies. Chicken and veggies are cooked with a little olive oil, maybe a teaspoon. I will add some brown rice, about two fist sizes, so about a cup cooked rice too. I will have a protein shake with or without milk depending on my total carb/protein and calorie needs for the day. I shoot for about 225 grams of protein and 2200 to 2500 calories per day. On work out days (Tuesday, Thursday, Saturday and Sunday) I also have a post workout protein shake that contains 40g of carbs and 40g of protein, mixed with water. I enter this at the start of the day before I eat anything so I know it is included in my total intake for the day as I am eating, so that when I drink the shake it doesn’t push me way over the top based on the days food intake. That is about it. Nothing fancy. I will mix in pasta and steak or hamburger from time to time. Eggs are also eaten a lot, not just for breakfast, but I may have two eggs with a big salad for dinner too. I think I could do even better to be honest, but it is working for me so far. I focus on three areas, the main one being calories, then protein and then others like carbs, fat, salt, etc. If it looks like I am going over my targets in these areas, I adjust the rest of my eating for the day to eat foods low in those items, if I am short, then I adjust my foods to eat items that are high in those areas to keep it balanced. I too eat clean… and I track every calorie (livestrong.com). I shoot for 40%/25%/35% (Protein/Fat/Carbs). Staples of my diet are chicken, salmon, turkey, eggs, beans, almonds, whey and casein proteins, dextrose (post workout), apples, salad (mixed greens with red wine vinegar as the dressing). Aside from the proteins, I supplement Omega-3, Vitamin D, Glucosamine, and a good multi-vitamin. I track every rep in a notebook and I’m achieving mildly positive progressive overload, even though I am in my ‘cutting’ phase now and my goal has only been to maintain strength. Ab exercises, volume, frequency, etc. are something I have always struggled with. There’s too much information out there, with much of it contradicting (planks are #1 // planks are only good for beginners…. crunches are king // crunches do little for you… abs are ‘special’ muscles and can be worked daily // abs are no different than any other muscle and need a minimum 48 hour recovery… you must do 1000 reps per day // 100 reps per week is good… you get my point). I have read hundreds (if not thousands) of articles, blurbs, etc. and they all say something different. USUALLY, after that much research, you will gain some sort of consensus on SOME PARTS of it. Not so with abs… at least not in my experience. I’m not looking for some ‘perfect ab workout’… that’s silly. But I am looking for some answers. 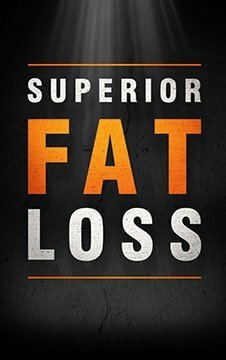 The author of this site has done an absolutely outstanding job at cutting through the fat and providing information that is clear, concise and effective for both diet and workout. I don’t think everybody fully understands how much time/effort he has given to this (my hat’s off to him with a big thank you). I get that abs are made in the kitchen, lose more body fat, etc. BUT when I do get to my summer ‘fighting weight’ every year, what if I haven’t worked those muscles properly? Are there staple exercises (for upper, lower, obliques)… or does one need to experiment to find the exercises where he/she will consistently experience ‘the burn’… or something else? Are upper and lower abs similar to upper and lower chest in that do you need to work them individually, or does the typical exercise work both with maybe a little emphasis on upper or lower? Thanks for the compliments dude. Yeah, one day I’ll get around to doing an ab training article that will cover all of this stuff. But, until then, it’s mostly a matter of just having a low enough body fat percentage. As long as you have that, you can train your abs twice a week doing whatever the hell you want for 10-15 minutes (which by the way is my default ab training recommendation) and it won’t really make any visual difference if you’re doing exercises A B and C or exercises X Y and Z. It’s the least important part. Your diet sounds close to mine actually. Of course I deviate from time to time and will supplement short falls in meals with QUALITY protein bars. I say quality because there are some real crap ones, like 500 calories for 5 grams of protein…the rest being sugar. I’m a big snacker of fruits and nuts as well. I was doing the balsamic vinegar for dressing too, but then I just skipped it and go naked on my salad. Sometimes lemon juice is nice. I do a multivitamin everyday along with 5mg of creatine which is misxed with my post workout drink, it is great with 40g of carbs, 40g of protein and 5mg of creatine all in one shake. As for abs, I stopped reading. Like I said, I have this app on my tablet, it has about 20 or 30 different ab exercises in it, and it randomly picks ten each time for one minute each. So I do ten minutes of abs every 4 days which is about twice a week. For me…and I do not know if this is right or not, but I find I get more from variety than doing the same thing all the time. So for abs, I like the fact that each time the exercises are different, it lets you hit the muscles differently. Same with the gym, I may do flat bar bench presses for a few weeks to a few months, then change it up and do barbells for a while, then jump on a machine for a while. I do not care about the “weight” so to speak. Meaning, I max out and try to improve weight/reps each time, but I think changing the motions up, using different equipment from time to time offers me a better workout. Wonder if there is any science to this or it is all in my head. I should add portion control plays a huge part in this. It is not enough to eat smart, but eating the right sized portions of any food is important IMHO. Fantastic, Jay! I barely have a clue and just joined a gym three weeks ago, starting with personal trainer next week. I enjoy what/how you write; it’s very straight forward, understandable for someone like me whose just learning. Thank you! This is very helpful for me right now. I was thinking on training chest twice per week (Yeah I know, shame on me!) but after reading more in your site I decided to change my workout to an upper/lower split. I was thinking in focusing in my upper body doing UPPER (Monday)/LOWER (Tuesday)/UPPER(Thursday) for all weeks. Would be it a good approach considering that my legs usually take more to recover? It’s a workable option if it suits your needs and goals. If you’re interested, I actually cover this split in detail in The Best Workout Routines (and include a full program for it… Upper Body Focused Training). Great article, helped me a lot. Keep up the good work Jay. Sure, it could work assuming everything else is done right and the volume for those exercises falls within a sane range. Having said that, it wouldn’t really be my first choice for pull day exercise selection. Hello Jay, I would love to hear your opinion on the so called ”5×5 workout routine”! Cheers, keep up the great work! Depends what you mean… there’s a ton of different programs that use 5×5 in them. Some are better than others. Unless you just mean the set/rep scheme of 5×5 in general, in which case I’d say it’s as good as any other similar set/rep scheme in a similar rep range with a similar amount of volume. Nothing especially magical about it. Just a useful training tool like any other, especially if you’re a bit more interested in strength than growth. Thanks for your answer buddy, I’m more interested in growth atm so I will skip the 5×5 for now. Your site is great,keep up the great work! Hi! As you mentioned before, benching pressing with the elbows flared out “bodybuilder style is potentially problematic for the shoulder, but what about the opposite? The rear dealt row as a horizontal pulling choice with the elbows flared out…is this unwise? Even though it may be an effective way to target the rotator cuffs? If so I may replace them with traditional underhand rows or keep everything at a neutral grip to be extra safe. Flaring out the elbows for rear delt training is fine assuming it feels alright for you. I’d make sure form is kept strict and wouldn’t recommending going super heavy/low reps, though. Thanks! In that case, the rear delt row should be treated like an isolation exercise (even though its a compound one), meaning keeping it in the 10 to 15 rep range, slow and controlled, never explosively, right? Yup, I’d keep most rear delt work a bit lighter and in higher rep ranges. They are not really exercises suited for trying to get super strong. It seems as though I feel safer only using explosive/faster tempo on compound exercises that are “closed chained movements” (having my hands or feet in a fixed position. such as pull ups, pushups, squats, etc…). Am I right in thinking close chain movements are better for progression as oppose to open chain movements? I wouldn’t say it has much to do with closed/open chain… but really just compound exercises vs isolation exercises in general. The more muscle groups involved (and the bigger those muscle groups are), the better and more consistent progression will usually go. So squats, deadlifts, various chest and shoulder presses, rows, pull-ups/pull-downs vs exercises like curls, tricep extensions, leg extensions, chest flyes. Instead of adding rear delt flys after my 2 compound back exercises, can I do the rear delt rows instead? That would created 3 compound pulling exercises (2 for back and one for shoulder on a Push/Legs/Pull Spilt (Option A). The only fkys I like are Lateral Raises on a PUSH day. I hate reverse flys and chest flys. Never mind. I forgot the rear delts get enough indirect volume from 2 compound pulling exercises, which means a direct rear delt exercise after a verticall pull and a horizontal pull is over kill. The rear delts do get a good bit of indirect volume during most back exercises, but a small amount of some direct work like rear delt flyes, face pulls, band pull-aparts and that sort of thing can be included as well. is the front raise really that unnecessary? i thought it was a good rotator cuff exercise. Nope. The anterior delts already get too much volume in most people’s routines that adding MORE anterior delt work in the form of front raises will likely just increase the risk of shoulder problems. I want to give it a try to the building muscle routine which sounds awesome. I was wondering if it is ok to replace RDL with conventional deadlift as i am more comfortable with that way of deadlifting since I’ve been doing it for years. It’s possible that can work, but the RDL fits much better in this program in my opinion, and the conventional deadlift could be problematic due to overlap with the upper body. At the top in step 1 you say low reps like 5 through 8 or 10. And then in volume you get 30 through 60, what do you mean by that? Hey i read those links but i am confused as Daniel, you mention only 1 bicep excercise in the workout and that of 10-15 rep range then how is supposed to reach the recommended 20-30 reps per workout , similarly of the 2 chest exercises you mentioned in this article, one of low rep range and one of high rep range and hence total reps possible is 20-24, then how to reach the recommended 30-60 rep range goal? One chest exercise is let’s say 3×6-8 and the other is 3×8-10. Add the combined total volume up and you get 30-60 total reps for chest in this workout. As for the biceps exercise… do 2 sets of 12 and you have 24 reps. What’s so confusing? Any word on the lower body template? Sir, yours is (for the newbie) THE SINGLE MOST COMPELLING MUSCLE-BUILDING WEB SITE RESOURCE, EVER!!. Sorry for the caps locks, but I have been awe-inspired by such compelling and nuanced advice, predicated on logic of physiology. Your approach has given me confidence and motivation to finally kick-start my foray in to muscle-building. I thrive on research and analysis and thus being able to make an informed decision; hence, your information certainly allows for this. I have been “mesmerized” by your analysis. Thank you. Ha, nice use of caps lock… glad you liked it! I am about to begin the muscle building routine (been training for 5 months religiously). What is your opinion about performing the sumo deadlift instead of the RDL? So, even if i tweak the movement to be sumo instead of conventional it still works (and overlaps) the same muscles as the conventional style? Hey! What are your opinions on bodyweight exercises? I find them really functional, so what is your opinion in putting them in your muscle building routine? but on off days? I mostly looking to do pushups/chin-ups on days I do not work my upper body, none of them will be done to failure, would that interfere with your program/recovery? I’m 18 years old, and my nutrition is in check. Making a chest exercise in the program push-ups and a vertical pulling movement in the program pull-ups is perfectly fine if you happen to like those exercises. But adding them in addition to the program on off days? Definitely not something I’d recommend. Not only for recovery, but for joint and tendon health. Your body needs rest to grow, progress and stay healthy. Every stuff like this would only cut into that. But honestly, if you’re a beginner, you’ll do better with a beginner routine. At least for a little while. 1. I’m a big fan of rings for stuff like pull-ups, but more gymnastic type training isn’t something I have a ton of experience with. 2. Depends on goals. For strength is can be awesome. Check out Wendler’s 5-3-1 program. 3. Already got you covered. Read this one. I just started going to gym. I have an average body built at 72.8kg. NOt thin, Not fat. The fitness gym gave me a program and I hope you can share me your opinion if my workout program is atleast affective. My goal is to build muscle. (but not that body builder looks.) I am doing the following mostly machine exercises in order: treadmill 5 minutes, Assisted Pull-ups 3×12, leg press 3×12, 2 types of machine chest press each at 3×12, lat pull down machine 3×12, shoulder press machine 3×12, alternate dumbell curl 3×20 and bench dips 3×12 and treadmill 10minutes. ARe machine exercises effective or should i start picking up the bar bell and do free weights?im about one month now doing these exercises. Read this guide from beginning to end. It will answer all of your questions. Hi Jay, I have a question, if u were to make a lower body workout without thinking too much about it (don’t wanna waste your time), what would it be? Needs a full article. This is one example of how it can be done. First of all congrats for the amazing website (best I ever read and I keep coming back) and thanks for the generosity sharing your knowledge! My question is about getting bigger arms (but not the same question you must get every day). I totally understand that training the larger groups, such as chest and back, via compound exercises is the most important thing in reaching that goal, and isolation exercises are a nice plus. The thing is I have a body type with a very large back, very broad shoulders and large chest as well. On the other hand, I have very long and not so strong arms. So I was wondering if it is possible to get bigger arms without adding too much size to my already large back and chest. I’ve been training for a while and back and chest tend to grow more easily than arms, so I don’t feel I’m reducing that gap. Do you think I should have a different approach to reaching a more balanced body? I understand it is quite a specific question (and I don’t imagine there is any definitive answer for it), so any thoughts or insights would be truly appreciated. If you’re happy with the rest of your body and don’t really want to improve it any further, and your arms are the main/only body part you want to focus on… some kind of arm specialization program would be ideal. Hey there. Haven’t found a “The LOWER Body Workout Template For Building Muscle”. Do you have one. The thing is that every body talks about upper body. I want something to build big legs. Any recommendation? Nope, not yet… but it is on my article to-do list. I plan on following this template for my workout routine to build muscle, although on days I do not lift, and even some days I do lift I like to play tennis or soccer and that gives a good cardio workout. I want to gain muscle but I like to play sports too, and I do not know how these cardio workouts will affect my results. My question is will this affect my muscle gain if I do that while following this template? Any advice on what I should do? Read this one, specifically the second half. Hey, I am currently doing the upper lower body split. Monday Tuesday, rest, Thursday Friday, rest. This week I’m not going to have a gym available to me for upper body workout B. Should I substitute with a workout at home and continue with lower body B on Friday or skip the workout and do a full body on Friday? (Can’t workout on Saturday either) thx! If you can do a sufficient enough workout at home on that day, definitely do that. I’d recommend some type of basic beginner routine. If the workouts are starting to look like what’s described in this article, then it certainly isn’t something that would fit that “basic beginner routine” description. Could you briefly expand a little on the way you set up lower body days? I’ve noticed that you prescribe the same volume for quads and hamstrings despite the fact that quads are a bigger muscle group+ hamstrings get some indirect volume from compound work. I know you have injury reasons in mind but would you consider replacing one of the leg curls with leg extensions on one lower body day? Sorry dude, this is way too complicated to explain in a quick comment, but I’m still planning on writing an article covering all of it at some point. What about a template for “lower body routine”? Any article covering the lower body is one of the many topics of my to-do list. No questions – just want to say: great site! Never really being far away from gym (not a bodybuilder – more an athlete) and being in my own opinion pretty well informed and aware what i was doing now I’m coming back soon to gym after few years off (surgery, etc) – but doing way more research involved in it this time – with experience and passing years i see it has to be done properly instead of just briefly – saves time and effort. I used to like whole body routines – gave me ok results before.. i guess i will start with something similar this time as well but later progress to upper/lower split having limited time to workout during a week. Again – great site. Thanks a lot for an effort and good luck with book – sure it’s worth any money to anyone looking for a serious guide! sir i am following the upper lower split recommended by you for a couple of months now and thanks to you i have gained good mass but my shoulders are not improving.What do you suggest? Give it more time, muscle growth is an extremely slow process. A couple of months is nothing. A lot of really helpful information on your site, been getting me to change up some of my ideas. I had been doing a very high volume push pull legs workout (each once a week) plus an upper body body weight exercises day. However, i found that I plateaued and couldn’t move from it. My main goal is to get stronger, I’d love to build some muscles/put on some weight too if possible- and I’m keeping sleep and diet in check to do so, therefore my question would just be whether you would advise I used fewer types of exercise on each training day? Or less sets/reps maybe? Otherwise, based on what I’ve read and my preferences I was looking at something along the lines of: Bench press 5 sets x 5 reps, Incline press 3-4 x 6-8, Barbell rows 4-5 x 5-6, Lat pull downs 3-4 x 6-8, Barbell shoulder press 4-5 x 5, tricep rope 3-4 x 6-10 and hammer curls 3-4 x 6-10. (I have not decided on this order by the way.) My only concern is that this seems like quite a lot of repetitions for improving strength mainly. Should I cut some of the isolation exercises out all together maybe? Or decrease sets/repetitions? Would really love your opinion. Sorry man, see #1 here. I am a female and want to start your 3 day split version but with a modification. Can I do one Upper body and 2 Lower body in a week and repeat that every week? If you want to focus primarily on lower body and don’t mind less/slower upper body progress, then yes. My book actually has a program in it called Lower Body Focused Training which is designed for this purpose. Will there ever be a lower body template by any chance? It’s still on my to-do list… I’ll get to it eventually, I promise.